Can grace be a reality in my life? In a world that often stresses perfection, God's grace gives us the strength to face our imperfections and faults. God’s provision is far greater than our lack. Through this study, you will uncover the many facets of God's grace, and discover that He can empower you with the ability to extend kindness when others would choose to pull back. 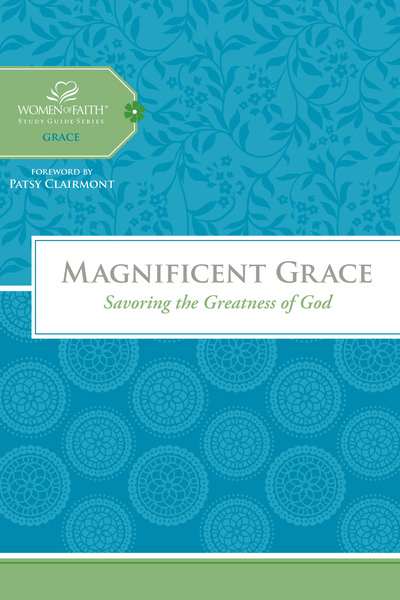 Magnificent Grace explores important Bible passages that describe the abundance and sufficiency of God's grace, and illuminates Bible characters who received and displayed God's grace. You will find an open invitation to a deeper relationship with God, no matter what your past decisions or present circumstances may look like. And you will be challenged to not only receive God's grace, but to take it and pour it out on others.